The Southern Star Group is proud to have been featured in the Geelong Indy’s ‘We Are Geelong’ feature. The news publication highlighted Geelong based businesses achieving success within the region and community. 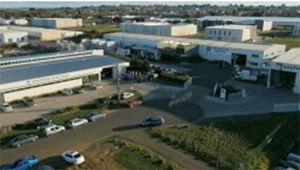 The Group Head Office has been located in North Geelong since the company’s inception in 2002. Thanks to our newly built facility, Geelong can now claim to be home of Australia’s longest powder coat line. The North Geelong factory and national logistics hub covers 11,000 square metres, including a state-of-the-art aluminium powder coat line that’s almost 200 metres long. The line features fully automated online pre-treatment, painting and drying, facilitating the reclaiming and re-use of powder, decreasing waste reduction and complementing the groups’ ongoing commitment to environmental sustainability. The story also highlighted the economical community benefit we provide to the area by mentioning the 53 Geelong-based staff at the new facility, which complements the expansive head office and manufacturing facilities 250 staff. We are extremely proud to be a successful manufacturer in Geelong and supplying our product nationally. The Group has grown significantly since 2002 when we employed around 30 people. Now we employ nearly 600 nationally, with half of those in our Geelong head office. As a proud Geelong based business, the new $7 million facility is an integral part of our planned development for the future.